We are looking for Kauai kids ages 2 to 12 with bright smiles and fun personalities to participate in this year’s Cover Kids Search. 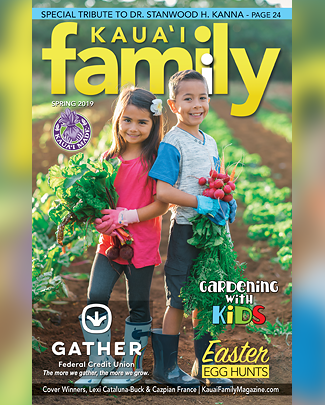 Register your child at kauaifamilymagazine.com between August 15 and September 20 ($20 fee per child, $10 discount for three or more kids). Seeking fresh faces who are: 2-3 year olds; 4-5 year olds; 6-7 year olds; 8-9 year olds; 10-12 year olds. Register Now! Attend the Cover Kids Search Event at Kukui Grove Center on September 22nd and take your photo at Kauai Film Academy. There will be an easy “interview” so we can get to know each child’s interests and personality. 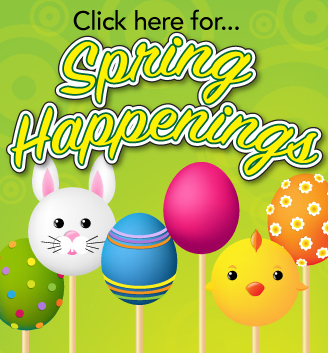 All participating kids will enjoy activities, games, entertainment and special treats to make this a special day for the whole family! 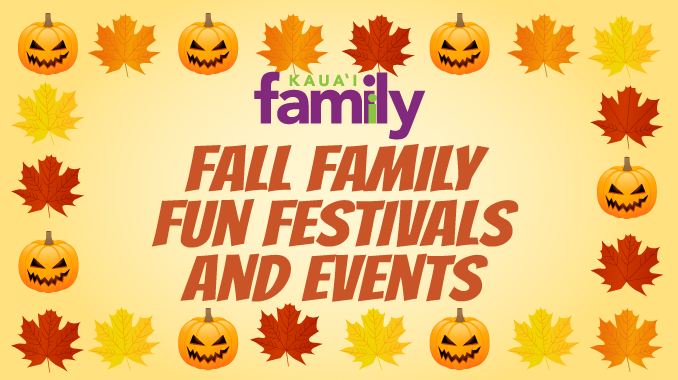 After the event, you will receive a downloadable cover photo of your child as a memento with the KauaiFamily Cover Kids Search logo, provided by our official photographer, Kauai Film Academy. The first 100 entering children in the project will receive a swag bag courtesy of Kukui Grove Center and KauaiFamily Magazine sponsors with great prizes and offers for the whole family. 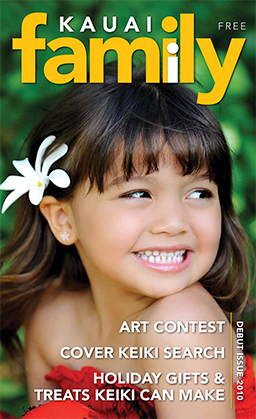 To help select the winners, semifinalists will be posted online at kauaifamilymagazine.com on September 24th and participants and public will have an opportunity to vote for your favorites. 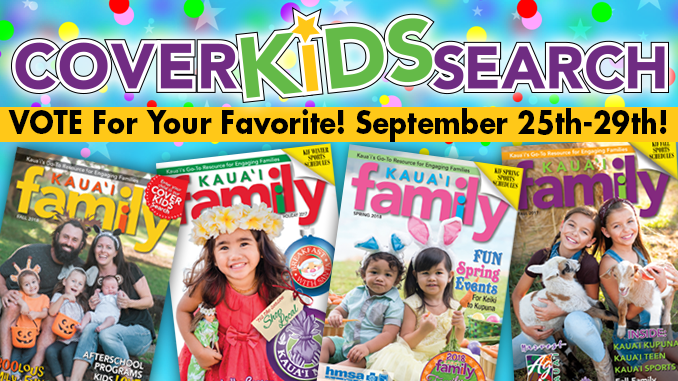 The Cover Kids final selection will be made by KauaiFamily Magazine and a panel of Cover Kids Search judges. 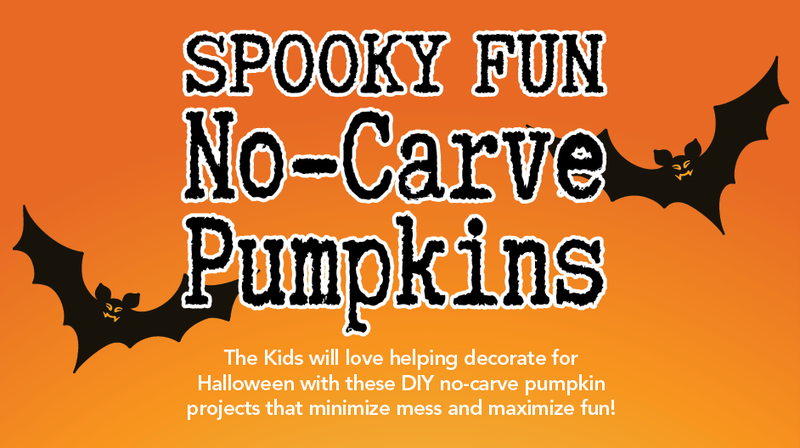 Families will be notified of the 2019 Cover Kids by October 5th with first photo shoot to be scheduled week of October 8th (Fall Break) at Kukui Grove Center. 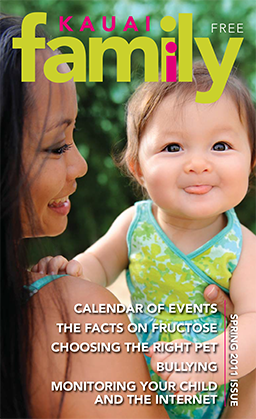 If your child is chosen as one of the 2019 Cover Kids, he/she/they will be asked to also serve as an ambassador for KauaiFamily at events and in the magazine.This is a fun opportunity to serve others; each family can determine their own level of participation. All photos taken during the event will be the property of KauaiFamily Magazine and event sponsors to utilize to promote the program. No refunds will be provided. Pre-registration is strongly encouraged for scheduling purposes. Late registration will be accepted at the door on a space available basis for $25 per child.